Hamlet of Nancroix, altitude 1400 m. 3 km from the shops of Peisey. In a quiet situation, near the forest and the river. In summer : at the departure of the mountain treks ; 2 km from the official gate of the national Park of la Vanoise. 500 m from a little lake, from a ranch, and an acrobatic park. In winter : free shuttle bus to the ski resort every half an hour. close to the nordic area : cros country skiing, snowboots trails. Nature package (1) : 2 pers. + 1 car + 1 tent, caravan or camper van. 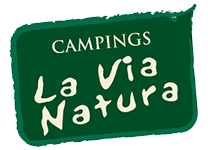 Website "Camping site - mobilhome village LES LANCHETTES"